News of stock exchange mergers in Europe and between London and Toronto are further reminders of the global nature of finance. But as we reported in a Money Talk podcast in May 2010, the international influence on Wall Street is longstanding. 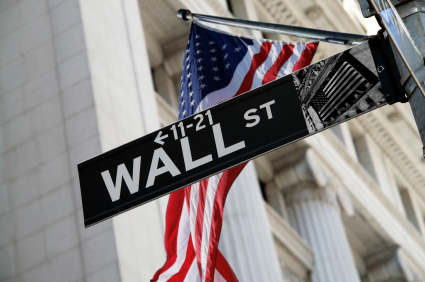 Wall Street – sometimes just called “the street” – actually is a street in New York’s lower Manhattan. It was named for a wall that the Dutch built there back in the 1650s to try to keep out British troops and Native Americans. The financial institutions of New York started cropping up around Wall Street in the early 1800s. Chief among those was the New York Stock and Exchange Board, what later became known as the New York Stock Exchange. In the mid-1800s, a number of securities traders who couldn’t afford to buy a seat on the New York Stock Exchange instead conducted their business, more literally, on the street. They called themselves curbstone brokers and eventually referred to their gatherings as the New York Curb Exchange. For What It’s Worth is an occasional look at the meanings and origins of words and expressions investors may encounter. The curbstone brokers didn’t move indoors until 1921. In 1953, they renamed their group the American Stock Exchange, also known as the Amex. Until the rise of electronic trading, championed by the Nasdaq exchange, the Amex was the chief rival to the “big board” New York Stock Exchange. At first, the Amex and Nasdaq merged. Then, in 2008, the New York Stock Exchange acquired the Amex. Two years before that, the New York Stock Exchange merged with a group called Euronext, which includes the stock exchanges in Brussels and Amsterdam and the bourse in Paris. And remember how the Dutch built the wall for which Wall Street is named? Well, 350 years later, one of the global headquarters for the parent company of the New York Stock Exchange is in the Dutch capital of Amsterdam.